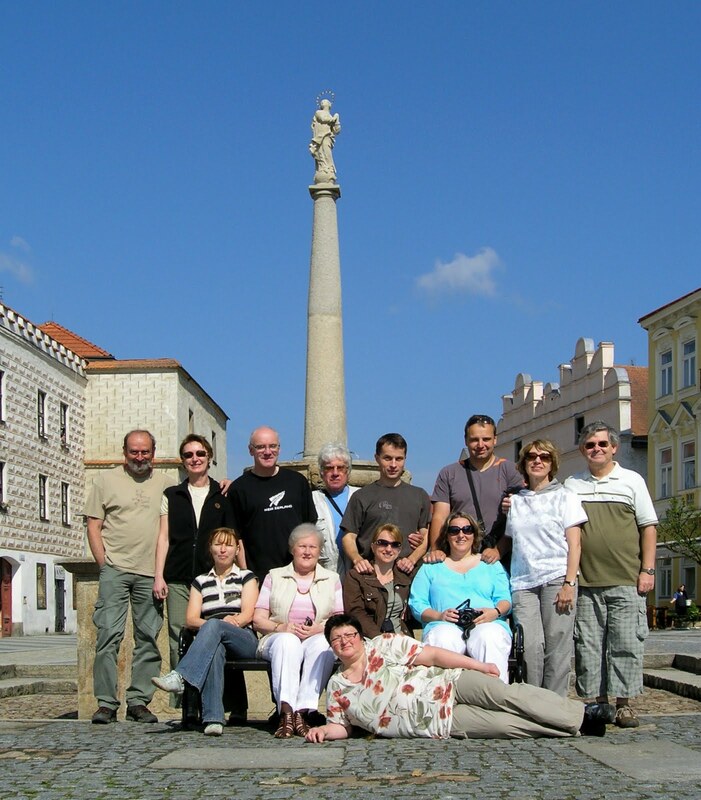 Second Panoramio meeting was held by small part of Czech Panoramio community during last weekend of May 2011. We and our families met together almost in the same formation as year ago, but we also welcome couple of new friends. This time we picked up for meeting Slavonice, UNESCO world heritage town. And it was perfect idea, indeed! This small township located in region called Czech Canada offers many photo opportunities: either Renaissance historic center of town, nearby castle Landstejn and Cervena Lhota, pitoresque town Jindrichuv Hradec or rural country with numerous ponds, forests and rock formations located around. Need to say, until 1989, Slavonice was quite isolated as borderline "no man's land" and almost fall into disrepair. After the fall of the iron courtain, the township revive, had been resettled by new citizens - also by aritsts and craftsmen; valuable reneissance houses were repaired... and nowadays town offers friendly relaxed atmosphere in fancy style. We also choose this place because it was only option how to meet other respectable Panoramio member, good musician and local patriot Karel Hruby. Well - during of two days of rainy and overcast weather, we focused on indoor activities like castles sightseeing, action "Night of the churches" and local restaurants! Without any doubt, Ota Haška absolutely won the contest with his only contesting photo - charming monochromatic portrait of little girl. He deserved his prize well! (no GPS logger or camera today - but substantive bottle of Irish whiskey!). And then we continued with discussing, drinking and jam session with Karel Hruby till after hours of pub. We finished on sunny Sunday, and although the meeting was great fun, some fellows almost cried as we departed... OK, see you next year! Or sooner? From my side, I want to thank the organizers of this year's event Ota Haška, Markéta Losmanová, Zdeněk Vondra and everyone that has participated in this fantastic event.